Home/Flooring installation/What Is The Best Flooring for Commercial Office? 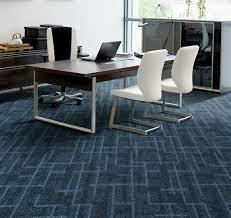 An office is a public space that requires special attention when it comes to office flooring. Sometimes, it can be too difficult to choose the best flooring for commercial office in Atlanta for this requires factors to be considered such as aesthetics and functionality. 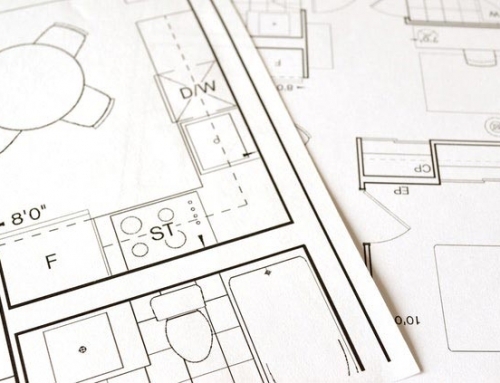 Factors such as budget, design, traffic and maintenance requirements need to be considered when comparing office flooring options for your business. The following are some factors that you should consider in deciding which type of flooring to use. 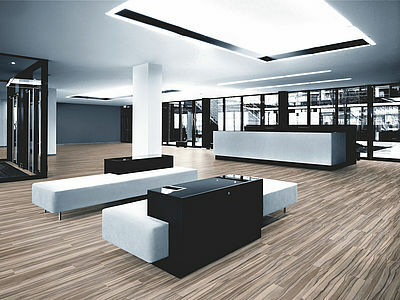 The best flooring for commercial office must be of commercial grade too. The floors that are appropriate for the offices are those that can withstand the daily traffic and movements of chairs and other furniture. 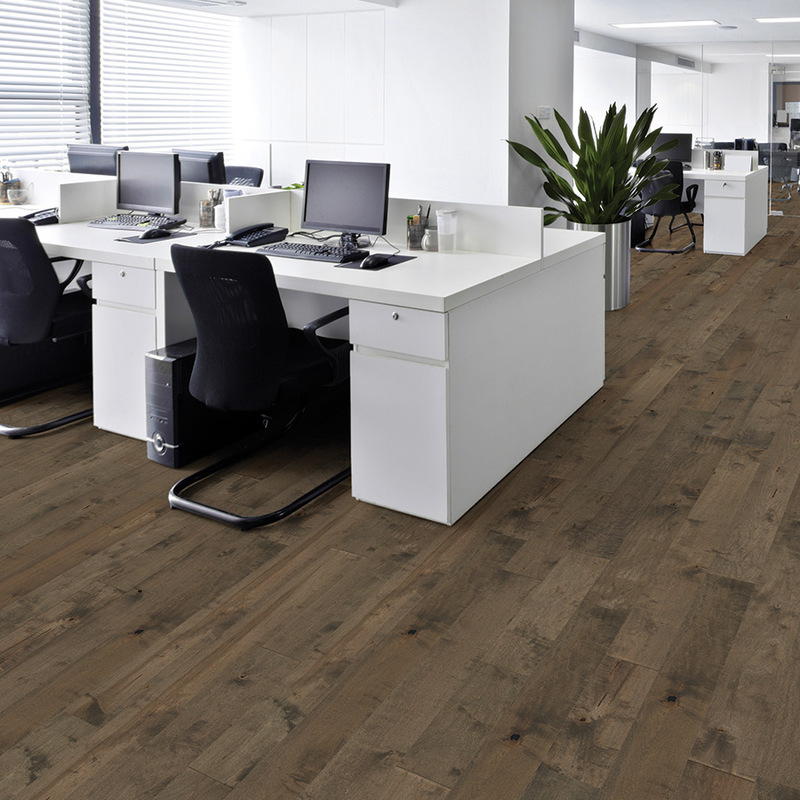 It is likely that the best flooring for commercial office is strong if it can hold off daily work activities within the office. One of the most important things to consider in the office is the noise. Depending on the type of work, most offices require a quiet environment. 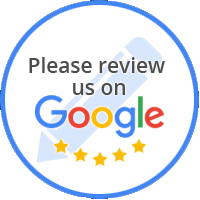 Carpet will always be an option, but it wouldn’t be a good choice for heavily trafficked places if you consider cleaning and maintenance an added work. Hard-surface floors, such as luxury vinyl, laminate or engineered wood, can work if you install a noise-reducing underlayment before laying your office flooring. The best flooring for commercial office is one that is easy to clean and maintain. The floors that are easy to clean and maintain are the best option in any work environment. An office is home to not only the work being produced, but also the people who produce the work. This means there’s a lot of foot traffic, office parties, and more cleaning and maintaining to be done. Flooring style should not conflict with the style of furnishings. It is recommended to use carpets or tiles for a more modern furnishing. While you can choose stone to have a more classical feel for vintage furnishings. Renovating your floors can be costly. 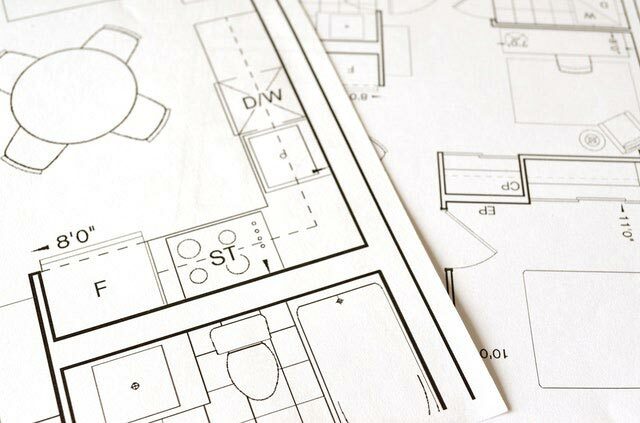 Make sure you make an estimate of the cost and search for your floorings accordingly. If you are looking for floorings on a very small budget, you might prefer to buy laminate flooring rather than marble or natural stone floorings. 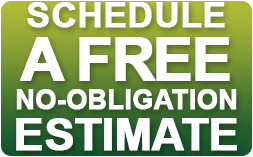 It is important to choose the flooring that fits your budget as well as your offices. Safety is one important factor that should never be taken for granted in choosing an office floor. Owning an office means you are also responsible for the health and security of your employees. Besides cleanliness, you should consider the safeness of the working environment. If you’re inquiring hard surface flooring, another thing to ask about is the floor’s slip resistance. Everyone wants their home and offices to be comfortable and relaxing. The comfort level of your flooring also plays a part in the overall productivity of workers. If you choose a floor that is too hard to walk or sit upon or if you choose a floor that gets too cold during winters, it will lessen the comfort level of your floor. Make sure you know how comfortable your chosen floor is before renovation. Climate has a big effect on the flooring of any house. Weather changes can make floors hot or cold accordingly. If u live in a warm climate, choose a floor that will feel cool to your feet, like tiles or marble. But if you live in a very cold climate, wall-to-wall carpeting would probably be better for your home. If you are aiming for an office that will provide soothing comfort and insulation from noise, then carpet is the best choice. Carpet flooring is available in a huge range of styles, colors and constructions to fit your design and budget needs. Carpet offers a lot of flexibility. Another good advantage of carpet is it is easy too replace if stains and damage fixing can no longer be an option. But carpet on the other hand requires regular cleaning and maintenance. Ceramic tile offers warmth and beauty, as well as durability. It is also good for high trafficked areas. The downside of this is it can be stained and might require professional help for fixing. 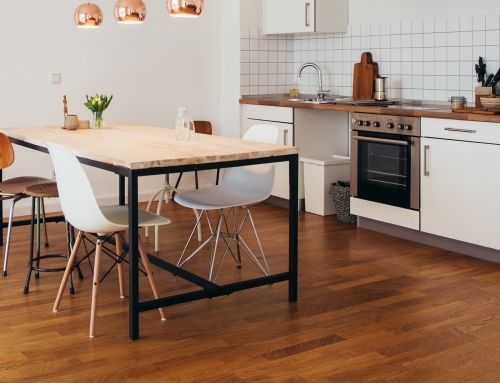 Hardwood floors are durable and easy to maintain with regular care. There are many options for wood flooring, from rich red oak to environmentally friendly bamboo. Hardwood floor is classic and adds elegance, warmth and style to any work space. 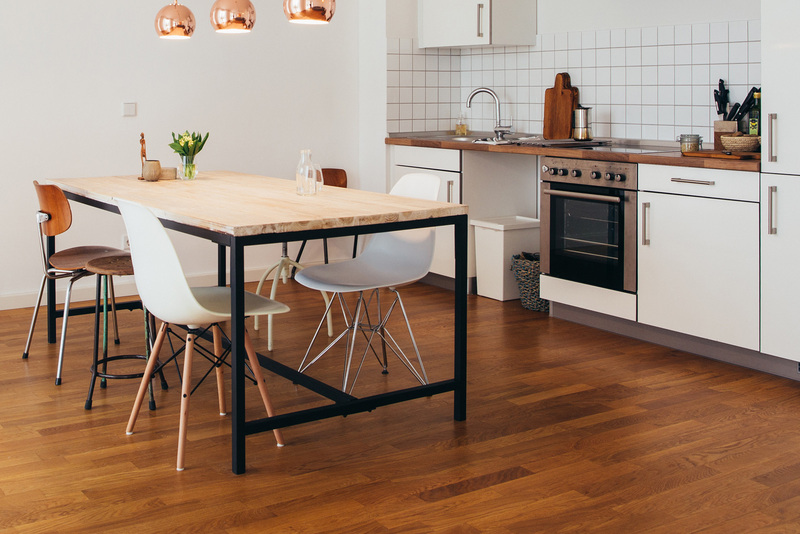 Even though it can be damaged by moisture, scratches and stains, modern hardwood floor finishes can help protect from excessive damage and the wood can be sanded and refinished if needed. Laminate flooring can offer the look of hardwood, tile or even stone flooring but at a lower price. It’s constructed in layers and designed to resist warping from moisture. Typically, it features a thick surface coating to protect from scratches and other damage. It does require regular care and cleaning. Perhaps not ideal for every office, natural stone does offer a luxurious look. A higher end material, it creates a distinctive appearance that adds something special to the decor. Natural stone may scratch and stain, but a protective sealer can be applied to help reduce issues. Regular maintenance and cleaning is required. Rubber us ideal for highly trafficked areas like offices and work stations. 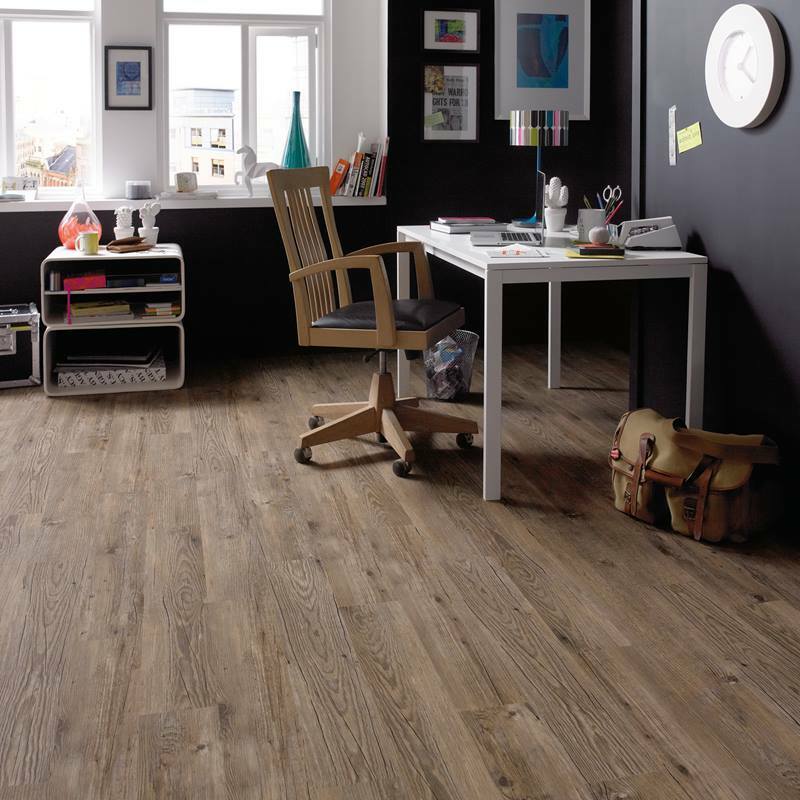 It is a very versatile flooring and is an easy-care office flooring material. It is heat and water resistant and durable. And because of its natural quality, it is considered to be the most slip-resistant of all flooring types. Aside from the comfort it brings while walking it is also noise-resistant. 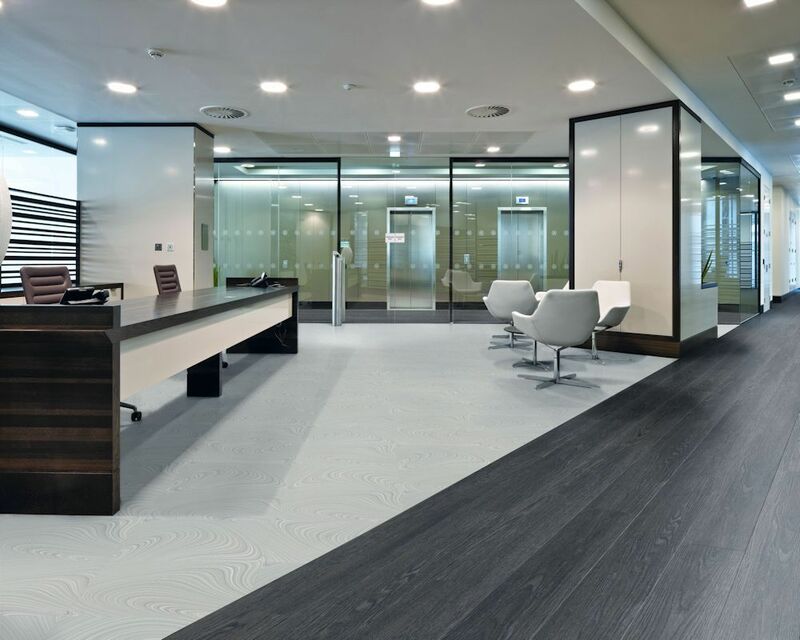 Vinyl is one of the most versatile and best flooring for commercial office options, especially good for heavy-traffic areas and when budget is a big factor for consideration. It can resist scratches and stains therefore maintenance will never be much of a problem. It is also well-known for its slip-resistance characteristic therefore you wouldn’t be worried about accidents on your work place. Aesthetically, there are too many styles and designs to choose from to fit your offices. Office flooring options are numerous and choosing the perfect one for your office depends on the look you want to achieve and your budget. No matter which you choose, regular care and cleaning are essential to any type of flooring to maintain its good looks. My workplace is looking into replacing our old carpet for something newer that will suit our office needs, and I really like your rubber floor suggestion. Normally I’d opt for something stylish like wood or natural stone like you said, but with all the office chairs rolling around, it would get scratched up too quickly. I also really like the idea of how rubber would feel to walk on, so I’ll be sure to bring it up to my boss. It really depends on the space, what it will be used for and the amount of traffic. I will have Bob or someone from the office to contact you about this and offer their expertise.